How Long Does it Really Take to Charge an Electric Car? 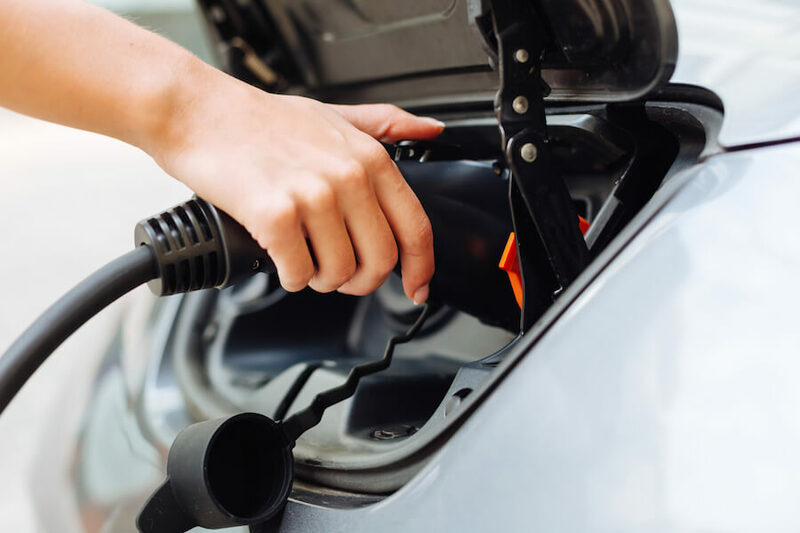 It’s time to get a new car and you’ve been hearing and reading a lot about electric cars lately, so you’re wondering if getting one is the right decision for you. Questions like: How long does it take to charge an electric car, or how much does it cost to charge an electric car at a public charging station might pop into your head. There are many good reasons to consider switching to electric drive for your next car like; the environmental benefits, the promise of domestic energy security, the smooth & quiet driving experience and the instant torque that only an electric motor can provide. However, one of the best reasons is often overlooked, and that’s how inexpensive an EV can be to own. The cost of electricity throughout the US varies greatly, however over time its cost is much more stable. Currently, the electric rates are the highest in Hawaii, at about 32 cents per kWh, and the lowest in the state of Washington, where it costs only 9.65 cents per kWh. Unlike with gasoline, there aren’t huge spikes in electricity rates if a refinery has a problem, and neither does the price skyrocket when there is political instability in one of the large oil producing countries. All of the electricity we use in America is domestically produced, and that’s a large part of why the cost remains stable. Overall, the average cost of electricity in the US is 12 cents per kWh. Therefore, the average person driving the average EV 12,000 miles per year pays about $432.00 per year to charge it. As mentioned, the cost of electricity can vary greatly depending on where you live, but in order to equal the price of the average gasoline car’s fuel costs, the price of electricity would have to be about 3 times the current national average. It’s a simple fact, the electric car cost per mile is substantially lower than it is for a gasoline or diesel car. And the savings don’t stop there. With fewer moving parts, EVs cost much less to maintain. Forget the oil changes, the tune-ups, fuel filters, timing belts new mufflers, etc. EVs are basically just plug and play, and require at most an annual check-up, just to make sure everything is OK. If you combine the fuel savings of electric cars vs gas, along with the reduced maintenance costs, it’s clear to see an EV will cost you much less in the long run, even if it costs a little more up front. If you’re wondering how much does it cost to charge an electric car at a public charging station, that answer is a little more complicated, since the owner of the public charging station can set any rate they want. Some stations are actually free to use, and others usually charge by the hour. However, the vast majority of EV owners charge from a home charging station and pay what their utility charges. Now that you know EVs cost much less than gas cars to refuel and maintain, let’s address the “how long to charge an electric car” topic. With a quick look at the online forums and EV discussion boards, you’ll see people asking questions like “how long does it take to charge a Nissan LEAF” or “how long does it take to charge a Tesla?” Different electric cars take different lengths of time to charge, depending on three factors: 1) the size of the car’s battery, 2) the power of the source of electricity and 3) the rate of charge the car is capable of accepting. Without knowing all three of those factors, it’s not possible to answer the question. So unfortunately, the question of how long to charge an electric car cannot be answered without knowing the specific information relative to your EV, and your power source. The best place to get that information is to look it up on the manufacturer’s website. 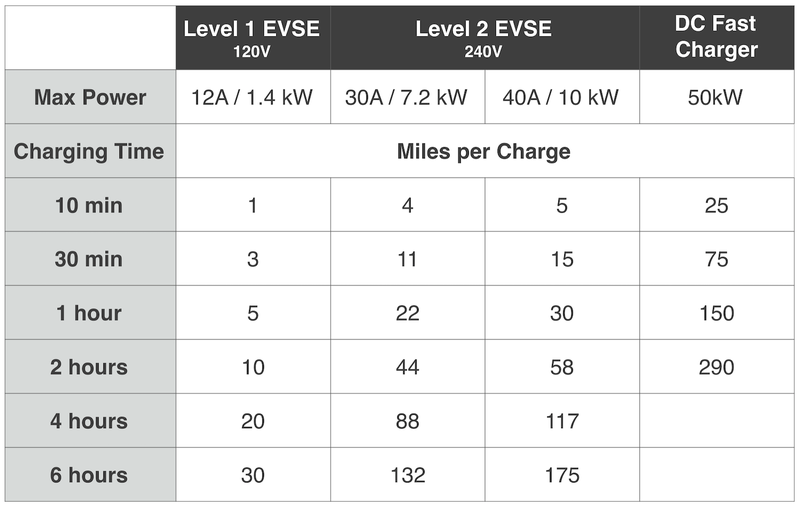 To give a rough estimate on general EV charging a good rule of thumb is Level 1 120-volt charging will deliver about 3-5 miles of range per hour of charging. Level 2, 240-volt charging will add between 15 and 40 miles of range per hour of charging. If you’re shopping for a Level 2 home charging station, make sure you don’t make the mistake of getting a low-powered unit, that can take very long to charge your EV. It’s advisable to consider getting a station that can deliver at least 32-amps. A 40-amp unit will future-proof your investment, and might be the best solution, even if your current EV doesn’t accept 40-amps. Public DC Fast charge stations deliver the most power, and can recharge most EVs from 0-80% in about a half hour. Finally, another way to save money with an EV is to take advantage of your utility’s Time Of Use programs, if offered. These allow EV owners to charge their cars overnight, during off-peak hours at a dramatically lower electricity rate. Some TOU rates are two-thirds to three-quarters lower than the full peak hour rates, so make sure you know your electricity providers rate plans, and choose the one that suits your needs best. Having a smart EV home charger like the JuiceBox Pro 40 level can be an advantage, as it allows the owner to program the unit to take advantage of their utility’s TOU rates, and save even more money.